Bargain Shopping Paradise: Look what I won! Ain't it purdy? 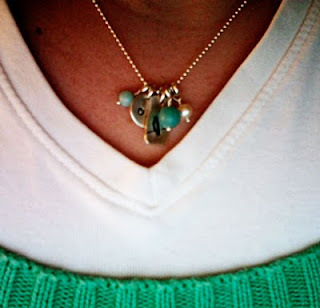 This is the Lisa Leonard Designs necklace I won from the Living Locurto giveaway that I entered a while ago. I just had to share it! I'm really enjoying it. I was sooooo excited when it finally came. Here's the actual "From Up Here" necklace on Lisa's Web site.